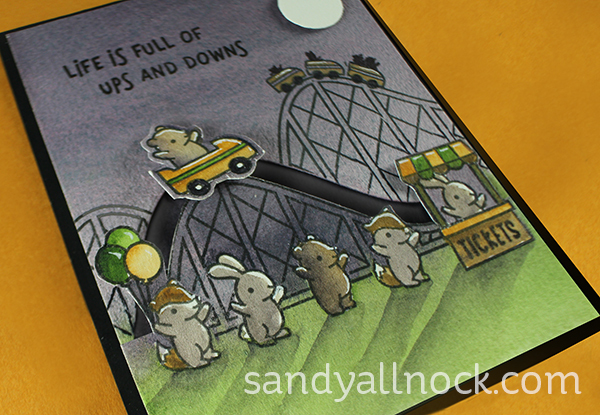 Fab fun card, so that’s what happens at night when we go to sleep all the animals go to the fun fair, what a gorgeous thought ! That is so so so amazing! Just love it!!! What a gorgeous card and a sentiment that is so true, thank you Sandy. This is truly adorable. I love watching you build scenes. 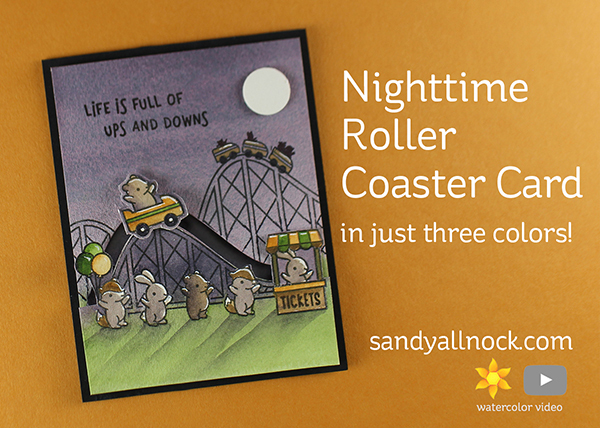 What a super cool night time scene, LOVE this cute card and thanks for an awesome night time water coloring video. you are so full of fun & surprises; what’s not to love about this card! This card is just fascinating. Just love how you can add night time conditions and make the card look amazing instead of ruined. This card is so darn cute!! I just love it! I want to take a ride on that coaster. 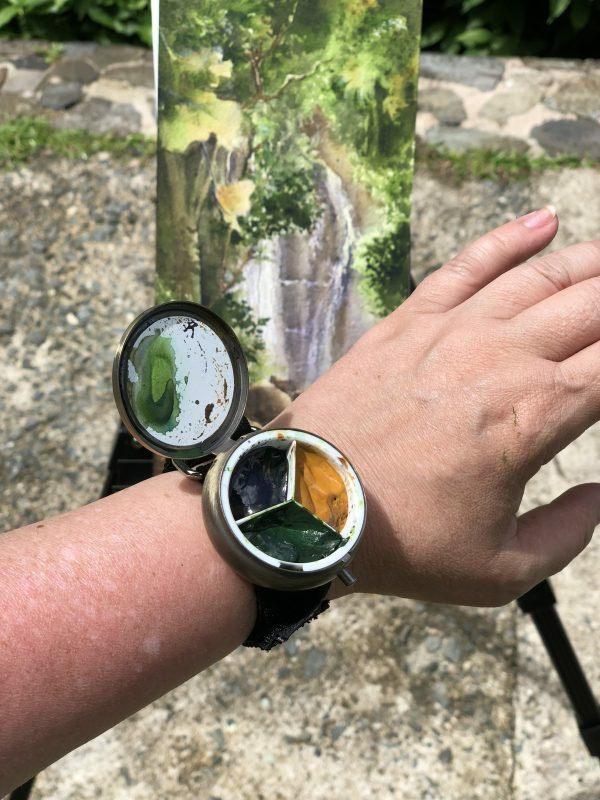 This was not on my wish list, but well you know you are an enabler.